These courses teach you how to behave properly in a particular situation and/or with specialized equipment. 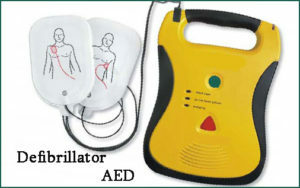 The goal is to enable you to use a defibrillator and demonstrate the benefits of resuscitation. In this course, the CPR skills are brought to a current level of education. The aim is to demonstrate the necessary inspection and maintenance intervals as well as safety regulations and legal requirements of the various equipment (which are used over/or underwater). In addition, the permissible limits of practicable manipulations are shown. This area is specially adapted to the needs of each organization. The basics are drawn from the experience of many IDIC instructors. Upon request, a corresponding syllabus will be created. 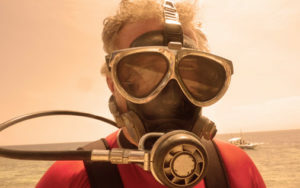 We teach you proper behavior and planning for a dive with oxygen-enriched Nitrox. The aim of the course is that you can independently plan and perform a dive with the gas mixture Nitrox with an oxygen content of up to 40%. For further and ongoing training with various technical gas mixtures, especially in the direction of technical diving, we recommend an international diving association for technical diving. 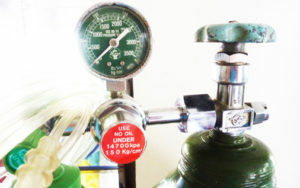 You will learn how to handle oxygen as well as the supply of oxygen to injured persons or as a preventive measure. We explain various oxygen devices and describe the medical effects of accidents, near-accidents or precautionary measures. The goal is to teach you the special handling of a full-face mask underwater. The careful handling and additional security measures are trained here. The goal is to teach you the skills needed for these situations when diving and planning dives when going to other altitudes/ pressure changes. 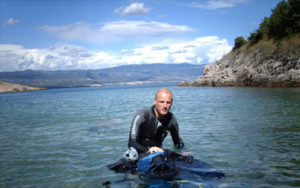 We teach you the special handling of the dry suit. 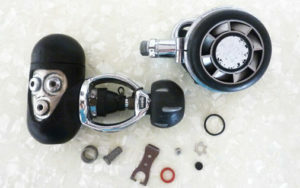 The careful handling and the additional changes in diving behavior are trained here. 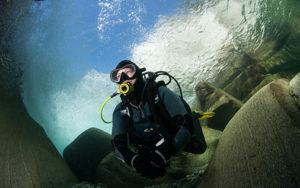 We want to point out special features of river diving here and explain the associated problems. The correct and above all safe planning, as well as an environmentally friendly behavior in the river is taught here. 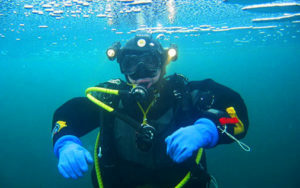 A safe dive, as well as the safe behavior in areas “in” and “around” of a shipwreck, as well as the correct assessment of your abilities will be explained to you in this course.